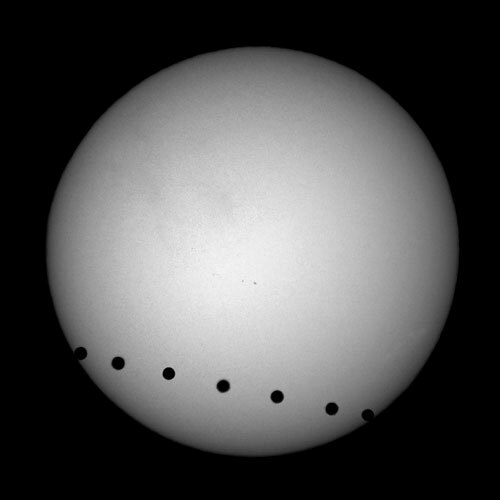 This image is a composite of seven exposures taken as the transit progressed, from second contact through maximum transit to third contact, which took place over the course of about five and a half hours. Technical Notes: Seven separate exposures were combined in Layers using the Darken function. Unsharp Mask was applied at 50% with a radius of 1 pixel and a threshold of 0.